Beans. We had a few. In the freezer, we have enough beans to keep us going a for a while. That’s a lot of curried beans between now and the start of next summer. There was scarlet emperor running beans as well as the painted lady variety. The former being something of an allotment staple. Formed at least four out of the six wig wams that were on the plot. The other wig wams were a combination of blue lake and cobra climbing french beans as well as borlotti beans. These were what mum described as being the funny coloured bean. The beans were sown in two batches. The first batch were sown to get the growing season started, and I somewhat ignored and underestimated their eventual yield. A couple of wig wams would probably have been sufficient, but that would have meant choosing one variety over another. A somewhat difficult choice. We like both climbing french beans and runner beans, so the scarlet emperor variety are always going to be sown. The difficulty lies in choosing between blue lake and cobra. The borlotto beans were rather cool, if only for ma thinking they were a bit cute. I would like to look at purple climbing frenc bean if they exist. I know that they exist in the dwarf variety, but have yet to find a climbing variety. And chutney. Runner bean chutney is meant to be nice. 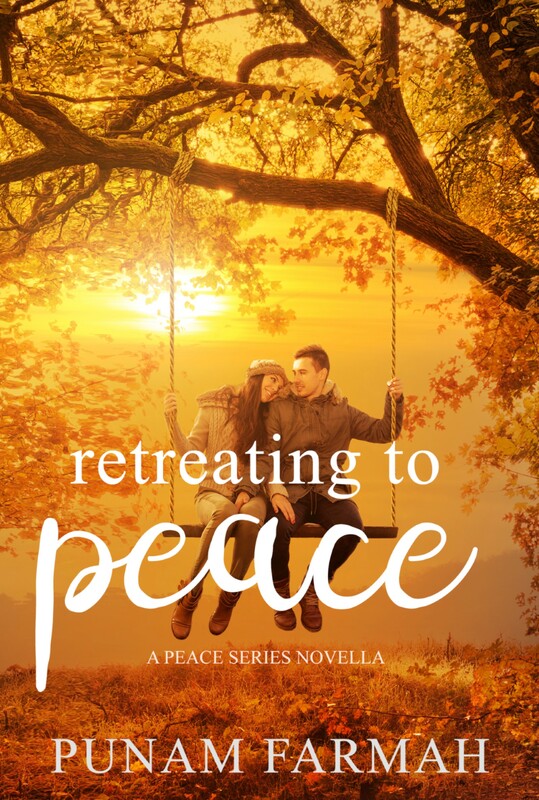 And so started the conversation, and I suggested we take a walk and see what the deal was with the plot. This week has seen a return to work, and teaching has started. I was in something of a daze yesterday at six in the evening, having finished teaching; so a walk this afternoon was scheduled as being necessary after a day of training. I am hoping to do some volunteer work in the coming year, so a large proportion of my day had already been spoken for. That means chutney at some point this week. We took a walk, and removed the last of the patty pan, sunburst courgettes. There are a few other yellow courgettes remaining; and soon they will slow down. Once all of the squashes have started to die a death; the aim is to take up the plants and compost them back into the ground. I know that I shouldn’t plant more plants than necessary, it is however difficult to not comply when your mum wants more than one plant. Yet we both get fed up of seeing frequently appearing squashes by this time of the year. The climbing and runner beans are also starting to slow down. The last of them-she says-are now waiting to be chopped up and frozen.I had forgotten just how much you end up with, if you sow quite a few plants. We have had a combination of blue lake and cobra climbing french beans, as well as borlotto beans, scarlet emperor and painted lady runner beans. These had been sown in two batches, as I had been convinced that the one tray simply wouldn’t be enough. I think mum is quietly fed up now of chopping and freezing them. She is still to get used to the colour of the borlotto beans, I think they add character to the wig wams. It has been a while since we have successful cropping of a butternut squash on the plot. The very first one was called Gladys, and this one would be gladys mark three. After all, even the ghost rider pumpkins are always called Bruno. I cannot remember now whether this is waltham or hunter. It is butternut squash nonetheless. 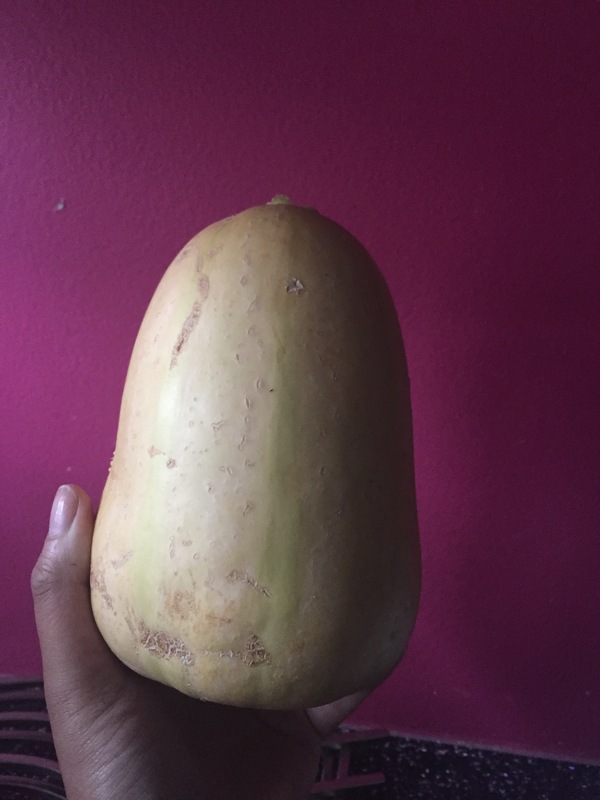 There have been yellow butternut squash type thing harvested during the summer, more spherical in shape. Not too sure as to what will be done this with yet, but I am sure that it will be put to some good use. 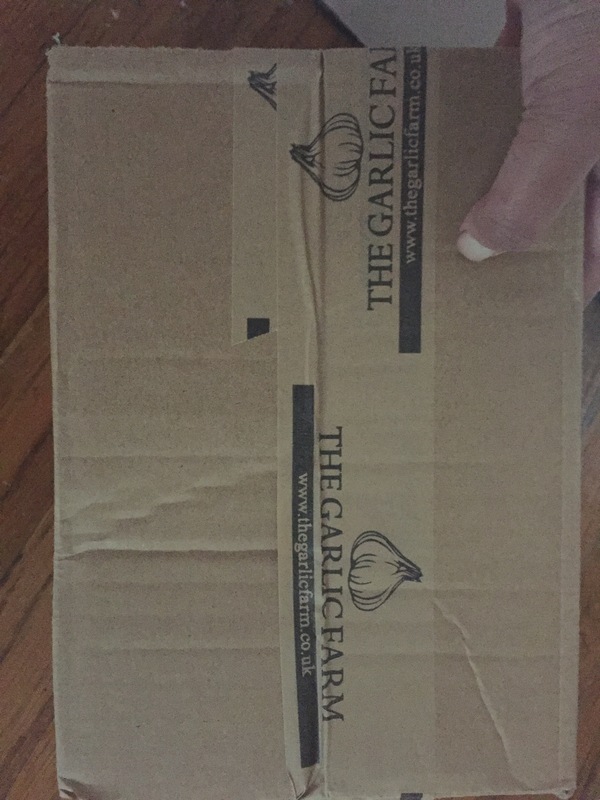 Newly arrived today is the box of over wintering garlic that will be waiting to be sunk. I think the latest that I have ever planted is the end of November, so I am aiming to do sow sooner than that. This will mean clearing raised beds of the assorted plants before plugging in. I don’t plan to sink into open ground as the heavy clay tends eat the cloves and I also find it harder to monitor weeds. 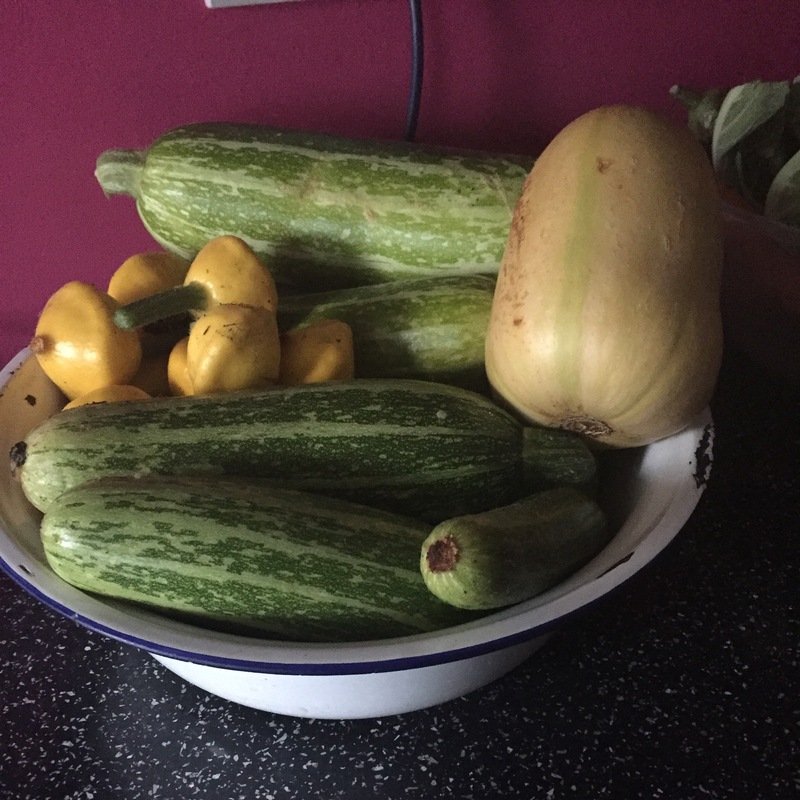 We are well into squash season, so have had three marrows in ten days. This morning, ma refused point blank to cook another one. I don’t blame her. There is only so much curried marrow you can eat or freeze. 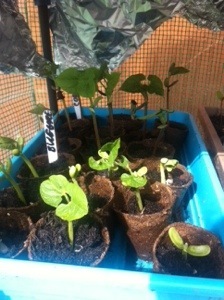 Courgettes are also making a surge. There are yellow ones starting to get bigger. The climbing french beans have kicked in, and the scarlet emperor runner beans are starting to form pods. Ma missed them whilst she was digging, so I have harvested quite a handful. The chillies are ticking over, but the super special are the superhots. What you see are orange habaneros, I also have pumpkin habaneros fruiting. Unripe chillies and things are being sent to the window sill for ripening. With the end of May, being the closing of our frost window; today was plant out day. This was the result of plants being hardened off over the last week or so in quiet anticipation. Plus the plants were starting to get a bit too big to be stashed in the 4TB. First thing first, three of the metre square beds had to be filled up, these were filled with well decayed farmyard manure. 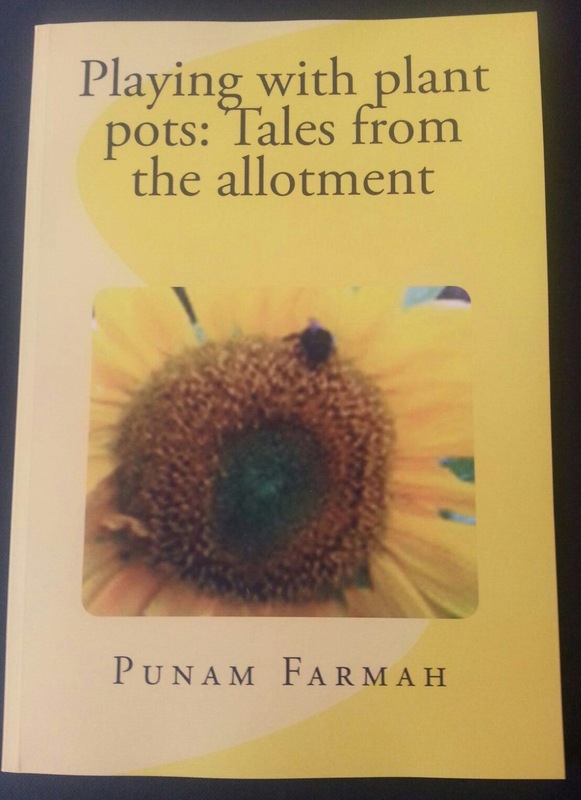 Then, sixteen squash plants, yes, sixteen, have been sunk. There’s half and half split, with some being plugged into raised beds, with the others being plugged into open ground. 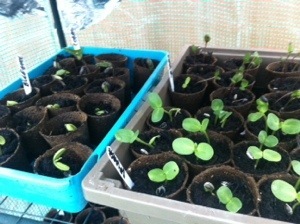 These were the seeds sown the second time around as the first batch had become cold and damp. Compared to what squashes have looked like at the same time in previous years, they are a bit smaller. I haven’t managed to sow and germinate pumpkins or butternut squashes, so this may be a jet episode. Next came the beans. We had about thirty plants. These were the traditional scarlet emperor runner bean, as well as cobra and blue lake french climbing bean. All of these three varieties have in the past been very productive. I have another tray sat on the window sill germinating, so I may need to make some more wig wams at somepoint. 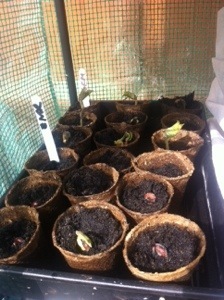 The runner beans and climbing beans have germinated and shot up. I think I might need to harden them off in the coming week. This means having to build a frame at somepoint as well. Debating at this moment, whether I would like to sow more. I have scarlet emperor, cobra and blue lake in the picture, and about dozen plants each. They are very productive, when they get going, that is what I do know. I have sown all three of these previously and with fair success, so I am sowing them again this year. I think we have only just finished the last of last summers runner bean crop. I have observed that the Climbing French Beans are far more productive then the dwarf varieties. 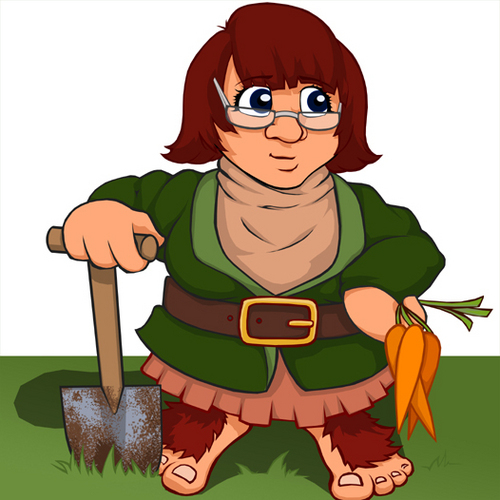 The dwarf varieties, in my experience, get munched on by slimers. They eat the crop, before you do. 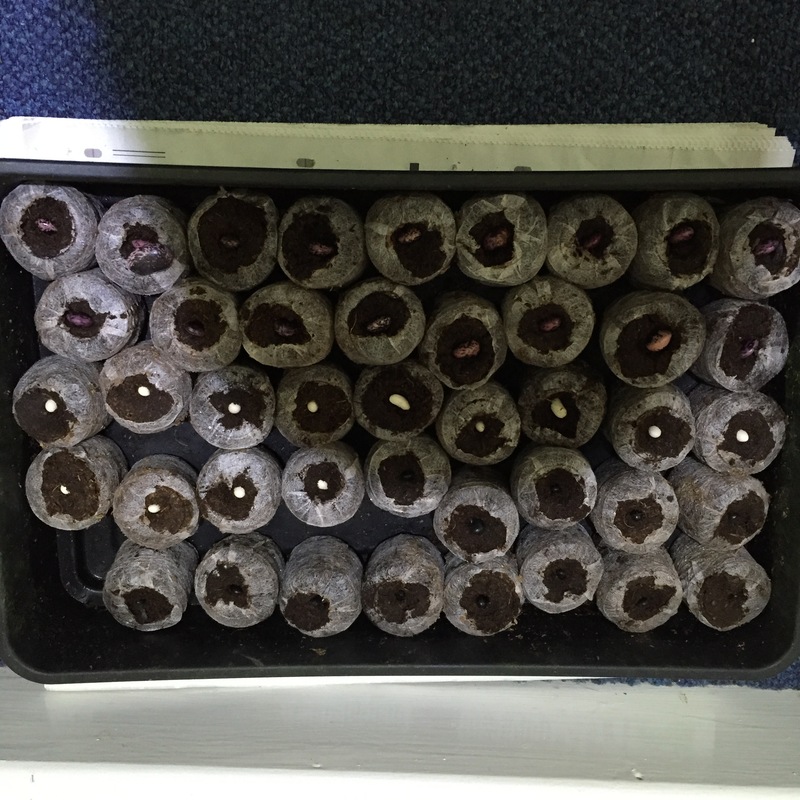 I have sown these today, which means I will have to construct the supporting structures for them to grow up. In the past, I have use two types of structure. Climbing french and runner beans, have been grown up either wig wams, or criss-cross frames. The wig wams are meant to be space saving. I can see how the criss cross frames might take up more space. All being well, these will germinate, the seeds won’t get too damp and rot away. 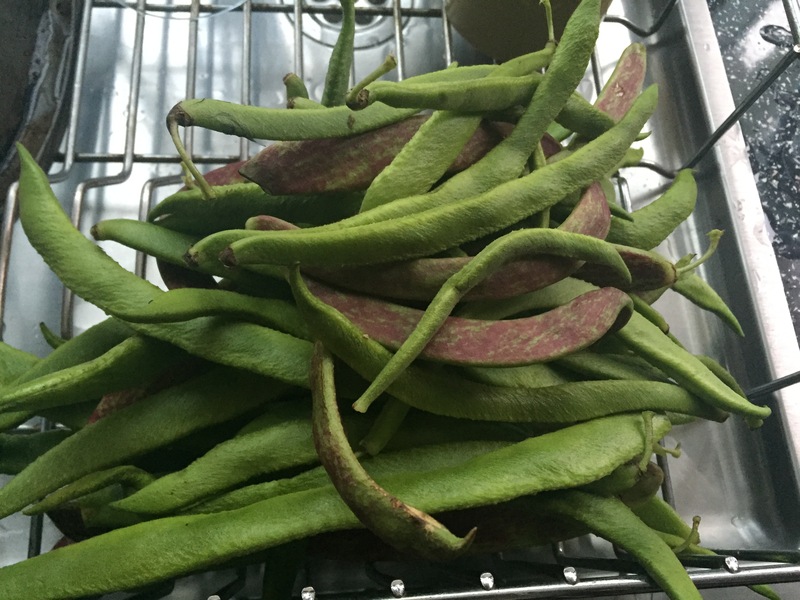 One thing that is certain, is that once you have grown your own climbing french beans, you will see supermarket produce in a different way. Especially, when they don’t grow straight, but curly as the dwarf beans do. They all crop abundantly, when you have the appropriate conditions for them to grow productively. These are always so damp and wet to observe. 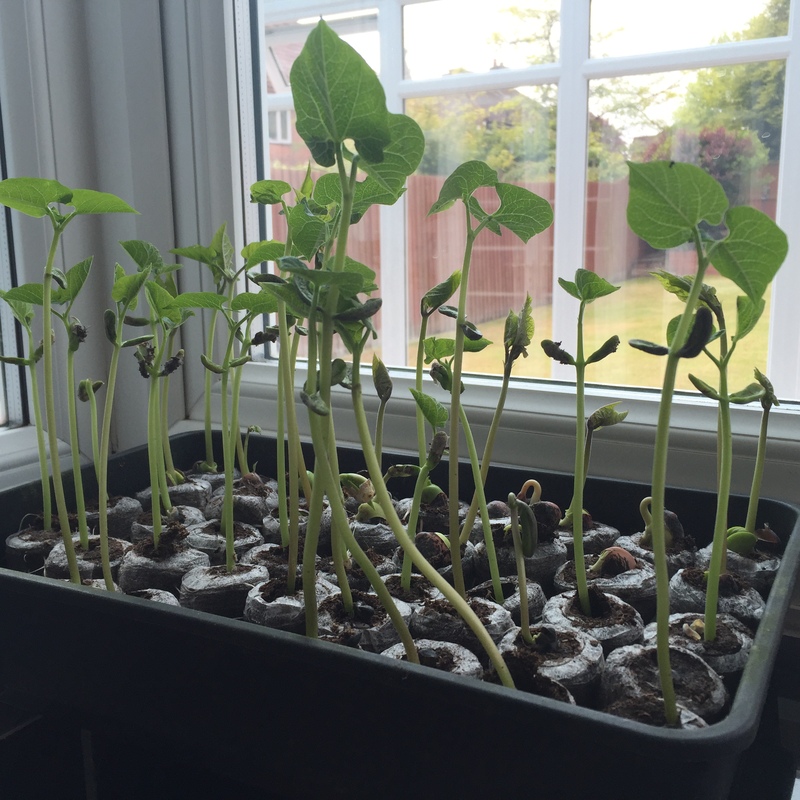 At the moment the climbing beans have germinated and seem to be okay. The runners are taking their time somewhat. I think a few have started to rot. These were only an initial sowing. I think I will sow some more in the coming weeks anyway. Need to put up some more wig wams anyway. Just caught sight of these, on the left, we have cobra and blue lake climbing beans. On the right we have sunburst and giant sunflowers.